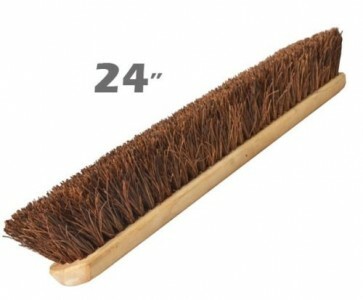 Brand New 24" BROOM HEAD A stiff 600mm (24 in) bassine platform broom Bassine is a natural material made from dried palm leaves. It provides good sweeping performance, best used in dry conditions as it can distort if used wet. Broom head only.